This List of Tradesmen and woman that keep our world running. Without them, life wouldn’t be as enjoyable as it is. And just in case there’s any confusion as to who these people are that can take advantage of the benefits of the Profit Pal App. 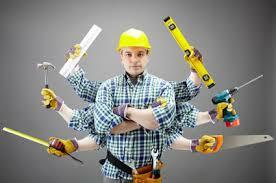 Here is a list of the tradespeople who can take advantage of using the app. If you are one of the tradespeople mentioned on this list, you can be assured that this app was designed with you in mind. We know you work hard for your money. This app was created with you in mind. This is an extensive list since there are many different trades. There no doubt are some who were left out don’t despair if your trade isn’t on the list. Be assured that this app will most likely be just as valuable to you as well, but rest assured the Profit Pal Mobile Invoicing App can be of service to you as well. The app will allow all tradespeople to be freed from having to make some of these boring calculations you would normally have to do in your head. Since the app does the calculations in the background as you fill in the boxes. The app is a real time saver, and its internal programming keeps you at the top of your game, by calculating things like distances and mileage cost. Can you see yourself being much more productive since you now have the help of a powerful app? And its right there on your Smartphone making it so convenient. Get ready to make a difference in the way you go about your business day now that you know that there’s an app that’s designed for you. This app will even create job files for you. So that if you ever need to see just what you did at that particular job you’ll have a record of it and won’t be guessing. Get the Profit Pal Mobile Invoicing App Today!